This video has been around for quite a while actually, but I come back to it a lot to watch. This fan made trailer is based upon the graphic novel Arkham Asylum: A Serious House on a Serious Earth which is an incredible book. If you haven’t read it and are a Batman fan then do yourself a favor and read it. 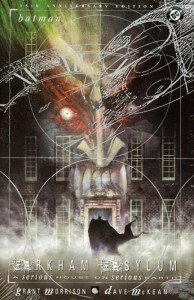 The story follows Batman as he enters Arkham Asylum after the inmates have taken over. Along the way we find Joker, Two-Face, and Scarecrow just to name a few. Watch the video below and then let us know what you think in the comments.